When you close your eyes and dream of your upcoming Jamaican vacation, what comes to mind? We think your dreams could come true with one of the luxury villas in Treasure Beach! If you imagine sprawling beaches with miles of white sand, large resorts with all the luxury amenities you can stand, and boats waiting to whisk you out on the water for snorkeling or dolphin-sighting expeditions, you’re not ready for Treasure Beach. Positioned on the southern coast of Jamaica, this is where you go when you’re ready to relax and take in the natural beauty found only in this Caribbean paradise. Each of these villages feature their own beach, with a total of six miles dedicated to the soft sand, the nearby coves, and the overhanging cliffs. Swimming, snorkeling, and bodysurfing are popular past times here, but you’ll also want to spend time simply enjoying conversations with the locals. They’re open about their lifestyles and the history of the Treasure Beach area, so you can learn a lot about the Jamaican culture by sharing a meal and listening to their tales. Visitors often come to Treasure Beach because they want to escape the rest of the world. They appreciate the isolated beaches and want to feel like they’re deserted in an amazing location for most of their vacation. When they’ve had enough relaxation, they can always book a day trip or private tour to explore other areas of Jamaica that aren’t quite so isolated. If you’re ready to immerse yourself in the leisurely way of life that is Treasure Beach, there this highly recommended villa is ready to accept your reservation. 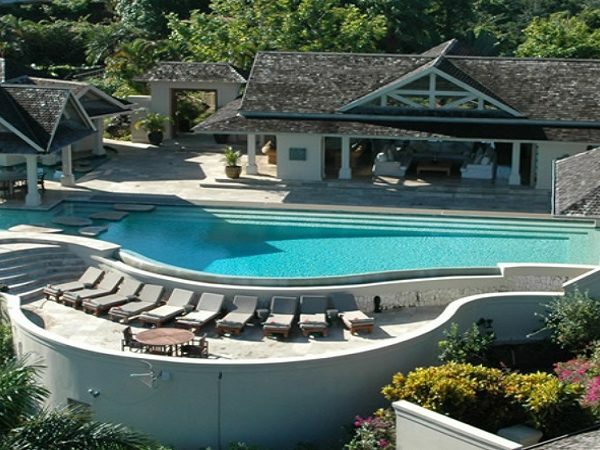 When you step into this luxurious villa, you get an immediate taste of true Jamaican style. If you pay attention to the fine details, you’ll notice colored bottles and interesting shells worked right into the walls as well as throughout the room décor. With furniture crafted by local artisans and cozy beds, you may never want to leave your private quarters. 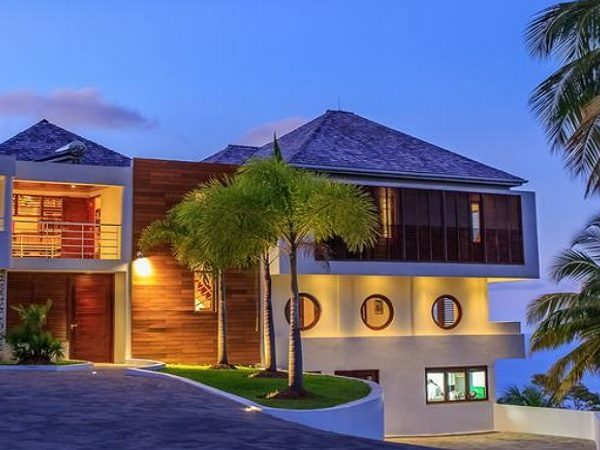 Located on Calabash Bay, this villa is one of the newest properties featured by Jake’s Hotel. This is a unique hotel that features villas and private homes in prime Jamaican locations rather than huddling the rooms together in traditional hotel style. This property is situated on 1.5 acres of land and features a main villa with four bedrooms and a sister villa with two additional bedrooms. You have the option of renting the full property for a larger group or selecting your rooms for a more intimate vacation. If you want to enjoy the great outdoors and see Jamaica beyond the beach, pick up one of the mountain bikes available to all Seaweed Villa guests. You can bike your way around Calabash Bay and then relax by the water with a cool drink in hand. Boogie boards, snorkeling gear, and kayaks are also available if you want to take a dip beyond the sandy shore. 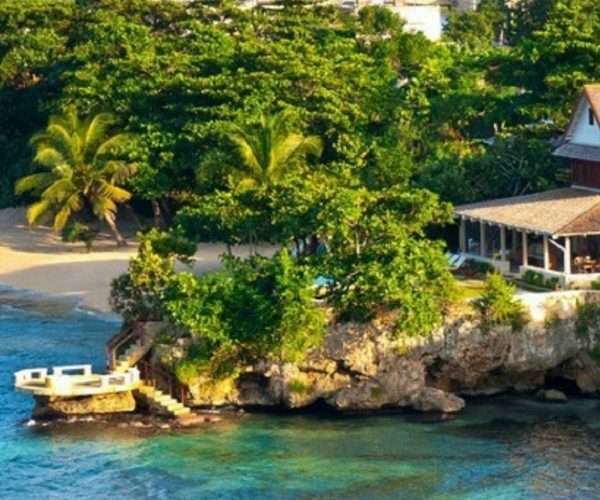 The Seaweed Villa offers a long list of amenities that will make your Jamaican vacation a dream come true, but we can save you an extra 5% on your reservation. We can also arrange for private transportation while guiding you through the trip-planning process. Just contact us for details before booking your stay at Seaweed Villa or any other Treasure Island property featured by Jake’s Hotel. Request a FREE Quote Today on This Villa in Treasure Beach!